There’s been more notable departures than arrivals at LaGuardia this offseason. A look at the Mets roster reveals plenty of empty spaces where the numbers belong, a theme that is likely to be repeated with regards to seats at CitiField while the Mets flounder under an ownership group that at this point has surpassed the DeRoulets for historical incompetance. As I’ve said for some time, the Mets certainly look like an organization headed for (and deserving of) a punishing stay in Chapter 11. Until it gets there, it’s up to the beleaguered, lender-appointed general manager Sandy Alderson to preserve whatever dignity the team can maintain amid the non-offers, layoffs, minor-league shut-downs and salary-dumping trade rumors you can’t necessarily dismiss. That they’ve added a bunch of players without assigning any of them a uniform number yet is a small indication of where they are. In some ways, they remind me of the Bad News Bears, where Buttermaker is late with the uniforms because he can’t find a sponsor. So on this Christmas Eve, here’s wishing the 12 players and four coaches newly added to the organization and/or its 40-man roster receive numbers in their stockings. To Jose Reyes, Carlos Beltran, Ryota Igarashi, Ronny Paulino, Nick Evans, Chris Capuano, Jason Pridie, Dale Thayer, Pat Misch: Good luck and success (but not too much success) in 2012. To Mookie Wilson, Chip Hale, Ken Oberkfell, Jon Debus: Thanks for trying. To Tom Goodwin, Tim Teufel, Bob Geren, Ricky Bones: Good luck and numbers in the 50s. To David Wright, Jason Bay: Pokes at a reasonable fence. To R.A. Dickey: A best-seller. To Pedro Beato, Lucas Duda, Josh Stinson, Dillon Gee, et al: No sophomore slumps. 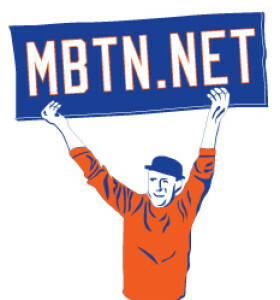 To my friends here at MBTN and in the Mets’ fan community: Thanks for reading and a happy holidays! Submitted by Anonymous (not verified) on Sat, 12/24/2011 – 10:42am. This franchise is headed for an epic drought reminiscent of the late 70’s, which will only end when Fred and Jeffyboy are forced to sell the team. A rough road ahead my friends. Submitted by Tomswid (not verified) on Sat, 12/24/2011 – 5:24pm. The only numbers that matter are the time and date the Wilpon’s sell the team. Submitted by EdgyDC on Fri, 12/30/2011 – 9:06am. Submitted by Steve D (not verified) on Fri, 12/30/2011 – 10:24am. Even better will be date of bankruptcy…that will ensure a sale is coming. Submitted by gored82 on Fri, 12/30/2011 – 11:56am. Amen! How sadly ironic is it that the franchise has come full circle from Fred Wilpon helping rescue it from the de Roulet family in 1980 to this?